1. 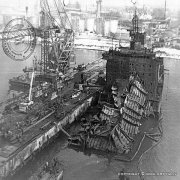 Liquidation of consequences of tanker Antonio Grammi LMP accident and oil spill at the Port of Ventspils in February – April 1979. 2. Liquidation of oil spill resulted from English tanker Flobe Asimi catastrophe at the Port of Klaipeda in November 1981 – January 1982. 3. Liquidation of consequences of Greek motor-ship Rohape accident in the area of island Saaremaa in June – August 1983. 4. 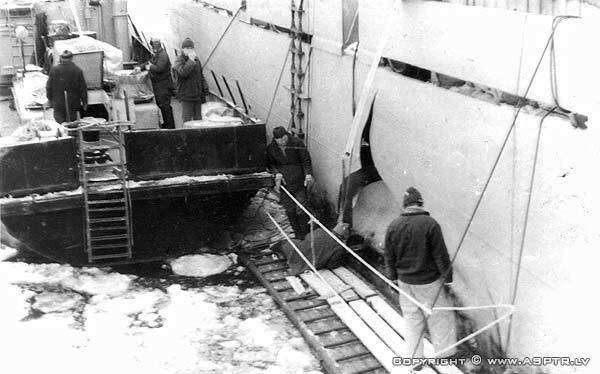 Liquidation of consequences of motor-ship Zeftenberg GDR accident at the Port of Ventspils in February 1985. 5. 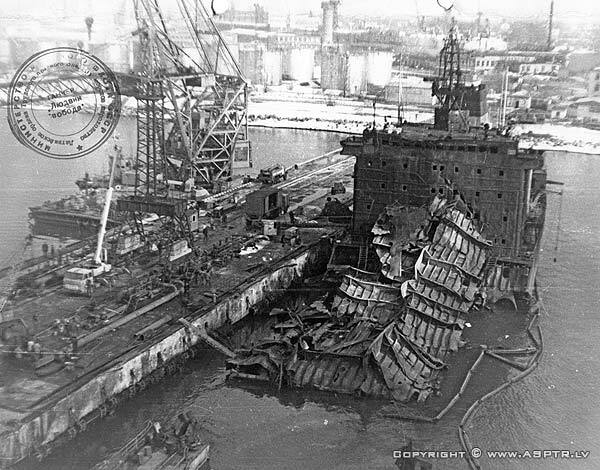 Liquidation of consequences of tanker Ludwig Svoboda LMP catastrophe at the Port of Ventspils in March – November 1985. 6. For support and assistance in arrangement and holding the XXII Olympic Games, Riga Group of SRDO has been awarded the Diploma of Gratitude issued by the Organizational Committee for the Olympic Games in Moscow in 1980. 7. Professionals of the Group participated in construction of dock passage through S. Daugava River bed for the Complex of Television and Radio Broadcasting on Zakusala Island. 8. Operations related to inspection, cleaning and repair of berthing structures and bottom of port water areas were performed on a regular basis. 9. Water-intake facility for the system of fire extinction of Republican Sports Centre in Mezapark was built and is functioning. 10. Cable communications were built for Latvglavenergo through the River Daugava. For perfect results of performance of this task, the Group was awarded the Diploma of Merit issued by the Soviet of Ministers of Estonian SSR and Estonian Republic Soviet of Trade Unions. - Liquidation of consequences of Latvian Shipping Company tanker Ludwig Svoboda catastrophe at the Port of Ventspils in March – November 1985. For support and assistance in arrangement and holding the XXII Olympic Games, it has been awarded the Diploma of Gratitude issued by the Organizational Committee for the Olympic Games in Moscow in 1980. - Professionals of the Group built the dock passage through S. Daugava River bed for the Complex of Television and Radio Broadcasting on Island Zakusala; operations related to inspection, cleaning and repair of berthing structures and bottom of water area of Riga Cement – Slate Factory are performed on a regular basis; water-intake facility for the system of fire extinction of Republican Sports Centre in Mezapark was built and is functioning. 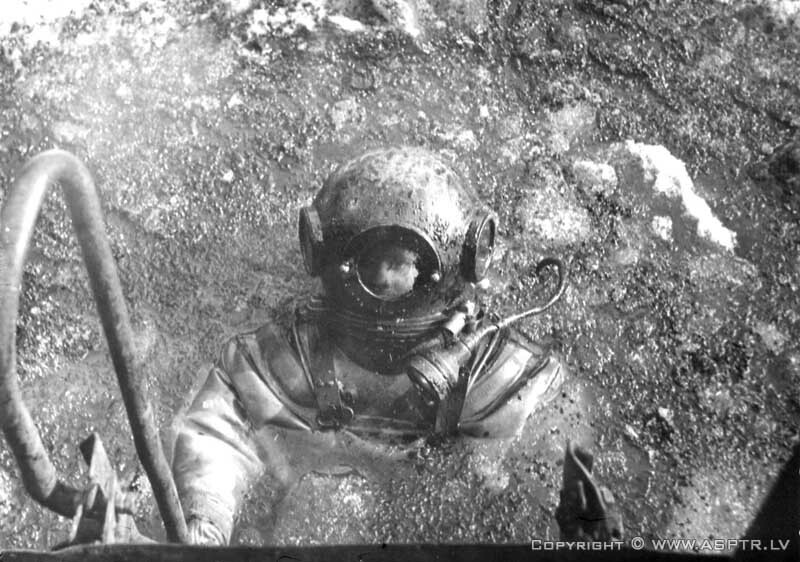 According to the order placed by Latvglavenergo, divers built cable communications through River Daugava. Large volume of diving operations is performed every year for the Water and Sewage Sector of Riga City Executive Committee: water-intake facility of forced circulation system Jugla was reconstructed; water-intake facility of company Daugava was cleaned and maintained; underwater parts of water and sewer communications are technically inspected. In the City of Jurmala, water-intake facilities of the resort out-patient hospital were inspected and repaired. Water-supply dock lines in Harbor Voleri were built in the process of construction of Riga River Port. 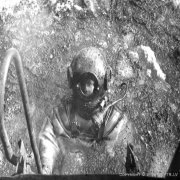 - In the City of Ventspils, diving and technical operations were performed on a high quality level in the process of construction of Ventspils Sea Trading Port; loading berths of the Yan Rudzutak Fish Canning Factory are annually inspected and repaired, communications are built through River Venta for the city communication centre. - In the City of Jekabpils, in the process of construction of Casting and Mechanical Factory, professional divers built the dispersive facility of storm-water system and water-intake structure for supplying the factory with water as well as dispersive discharge of foul water for residential district Bebru and for the city treatment facilities. - In the city of Livani, for the purposes of the Experimental Biochemical Factory, the new bottom pipe for force-feed sewer system through River Dubna bed and dispersive facility for the treatment structures were built. - In Village Liepa, professionals of the Group regularly perform diving and technical operations for inspection, cleaning and repair of water-intake and water-discharge structures of water-supply system for the production association of finishing materials Lode. - In addition to regular, qualitative performance of diving operations at Riga Sea Trading Port and Riga Sea Fishing Port, divers upon first request perform operations for inspection and repair of underwater facilities and structures of sea cargo vessels and fishing vessels of the Republic according to orders placed by Rybakkolhozsojuz and Fishing Collective Farms of Latvia.